Wonderful four bedroom detached family home which has been tastefully decorated throughout offering fabulous living accommodation over two floors and must be viewed to appreciate all this home has to offer. The lounge diner is the heart of this home and is to the front of the property with an inviting lounge having a bay window allowing natural light to shine through A feature fireplace gives this room a warm and cosy feel perfect for relaxing and enjoying nights in at the end of a long day. The dining area is to the rear having ample space for a dining table and chairs to enjoy meal times with family and friends whilst taking in views of the garden. Sliding patio doors open out, bringing the outside in. The country style kitchen is fitted with an array of shaker style wall and base units, space for a range style oven and hob with extractor fan over, plumbing for a washing machine, space for a tall free standing fridge freezer and a breakfast bar for more informal dining. 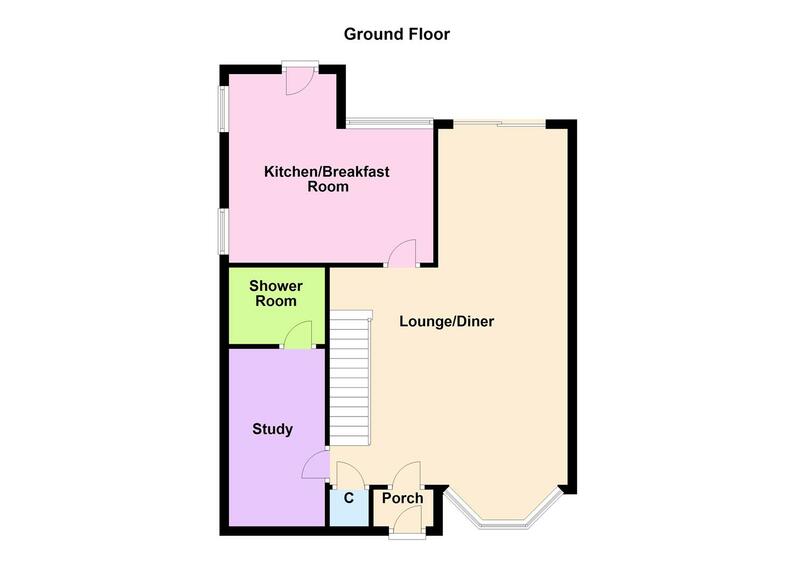 Essential to any growing family home is the study which has the versatility to be used as a playroom or guest bedroom benefiting from a en suite shower room including a low level wc, wash hand basin and shower cubicle. 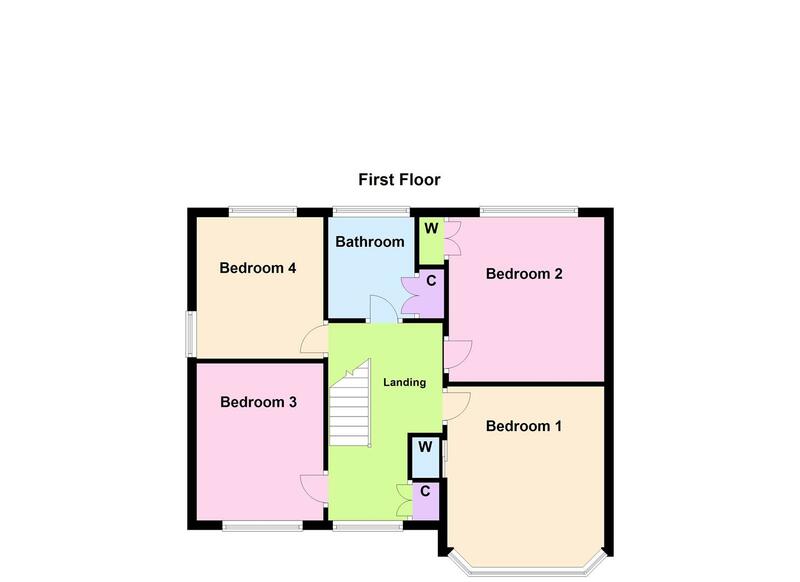 To the first floor you will find four double bedrooms and a family bathroom. Bedroom one and two both have the added benefit of built in wardrobes offering plenty of storage. The family bathroom has a three piece suite comprising of a low level wc, pedestal wash hand basin and a bath with hand held shower.